Dalmunzie Castle must have one of the most spectacular and romantic locations for weddings in Britain. 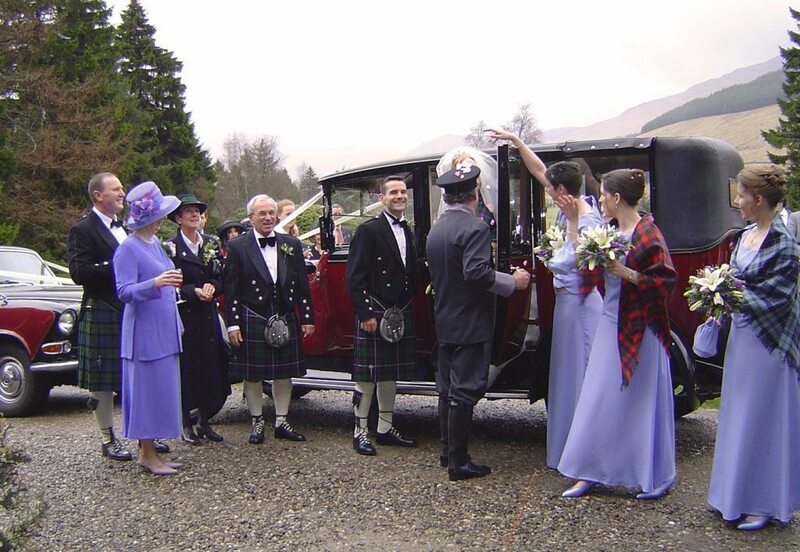 For ceremonies there is the beautiful Kirk of Glenshee situated near the old General Wades bridge beneath the towering Ben Gulabin. It is a magical setting, with a leisurely 1 ½ mile drive over the old Wade bridge and along the floor of Glenshee (Glen of the Fairies) as newly weds to your reception at Dalmunzie. 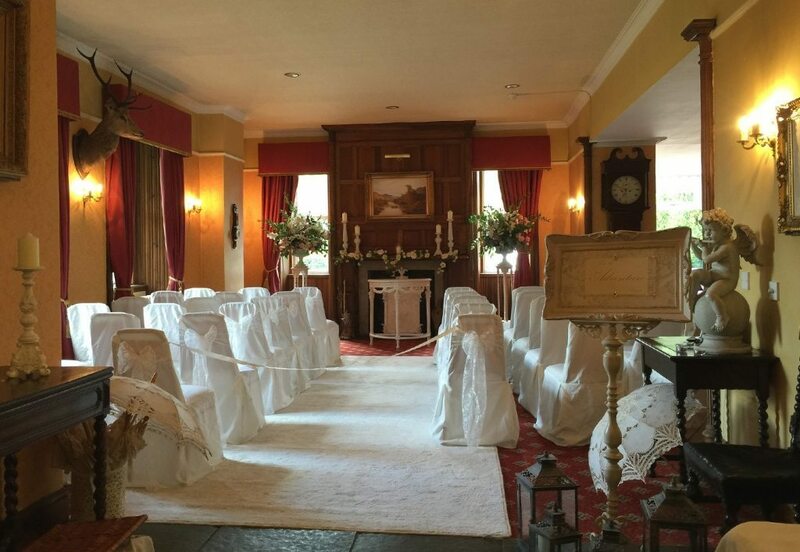 Alternatively you may wish to hold the ceremony in our Drawing Room or on the spacious front lawn with wonderful views in all directions and mountains on all sides. 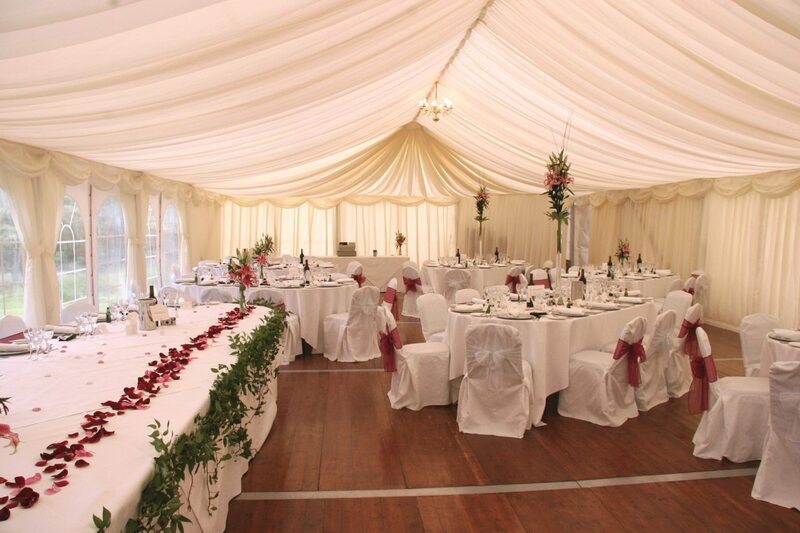 A marquee can also be erected on the front lawn to provide further areas for dining and celebrations of larger parties in excess of 80 people. 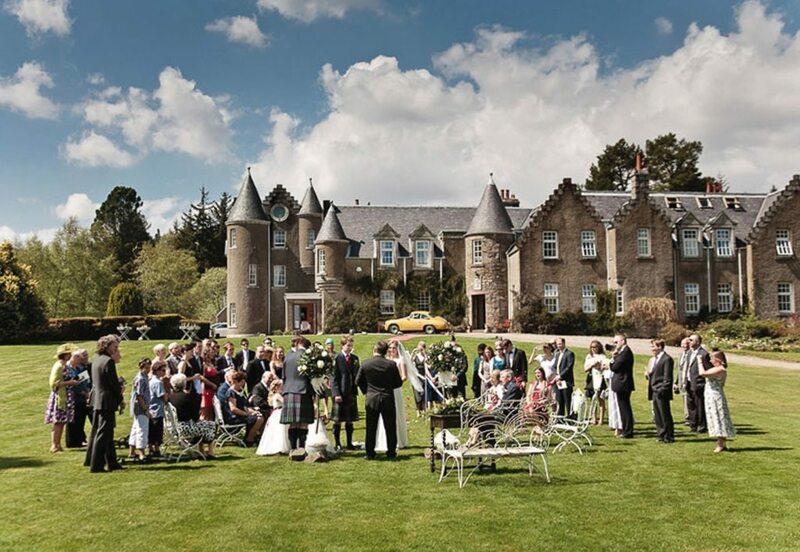 A piper can be arranged to provide atmosphere, Dalmunzie’s bell rung and a Ceilidh and Fireworks organised to celebrate your evening in style. 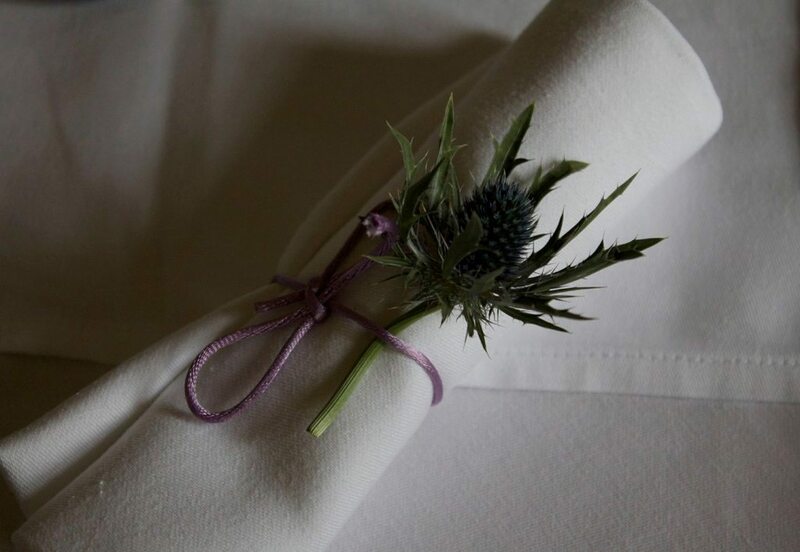 See the wedding sub-sections dining, special arrangements and contacting us for more information on arranging a special wedding at Dalmunzie. 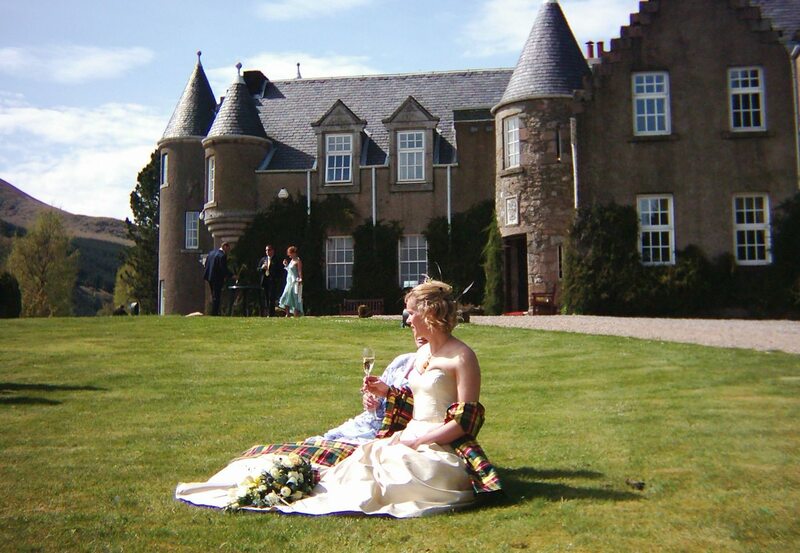 Dalmunzie Castle must have one of the most spectacular and romantic locations for weddings in Britain. 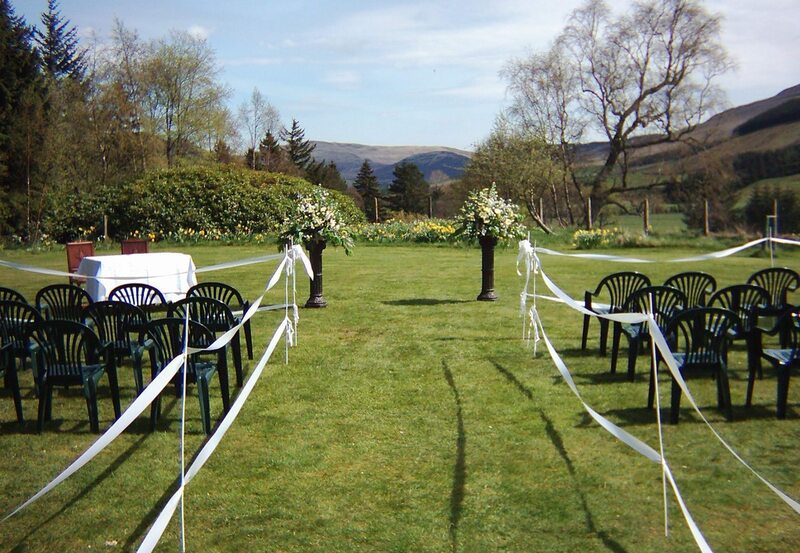 You may wish to hold the ceremony in our principal lounge or on the spacious front lawn with wonderful views in all directions and mountains on all sides. 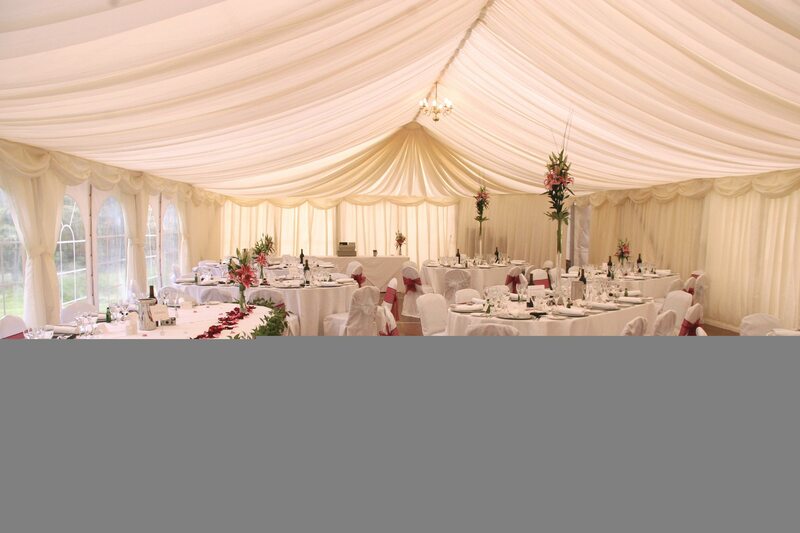 A marquee can also be erected on the front lawn to provide further areas for dining and celebrations of larger parties in excess of 80 people. 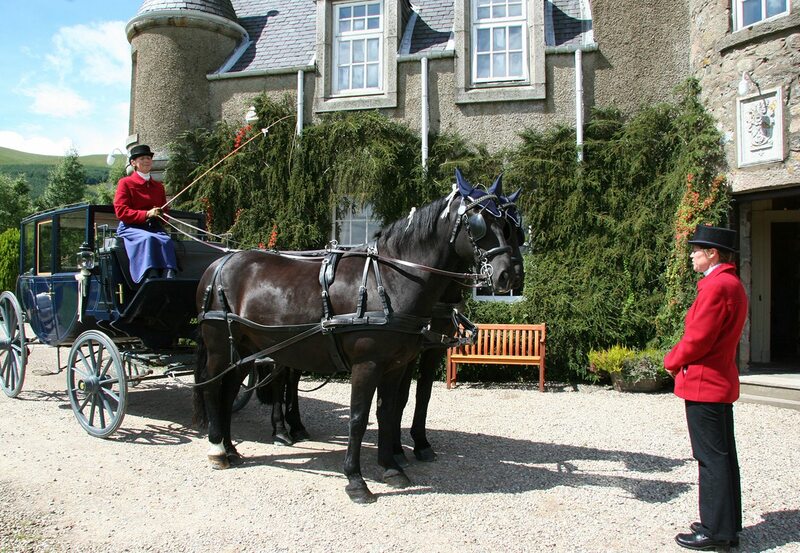 We are happy to welcome you at Dalmunzie to show you every area and the different possibilities for your special day. Contact us for a meeting and we will adapt to your times. 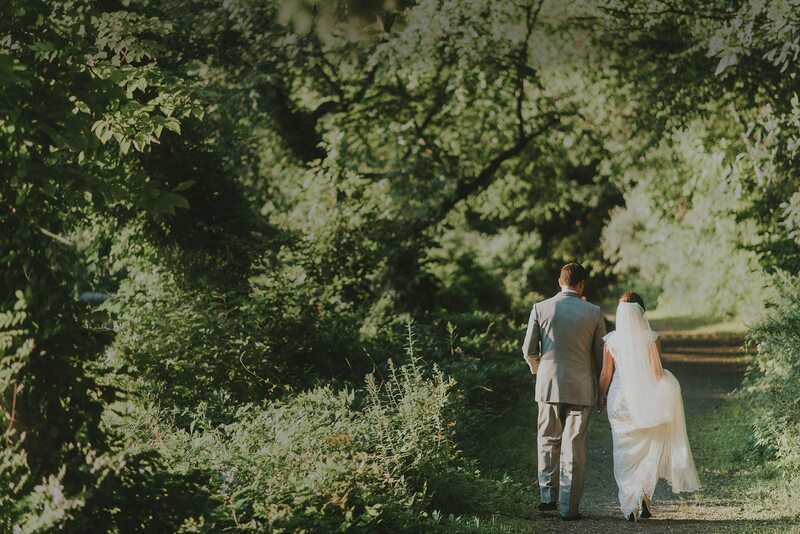 For religious ceremonies there is the beautiful Church – Kirk of Glenshee, situated near the old General Wades Bridge beneath the towering Monroe – Ben Gulabin. 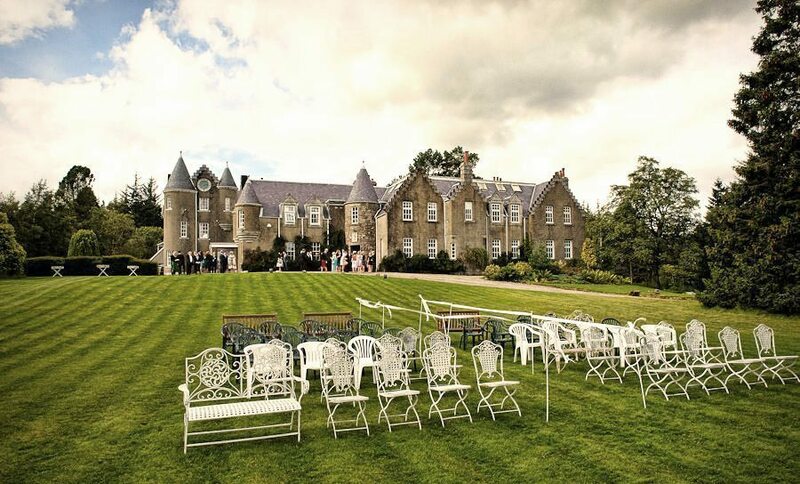 It is a magical setting, within a leisurely 1 ½ mile drive over the old Wade Bridge and along the floor of Glenshee (Glen of the Fairies) to your reception at Dalmunzie. 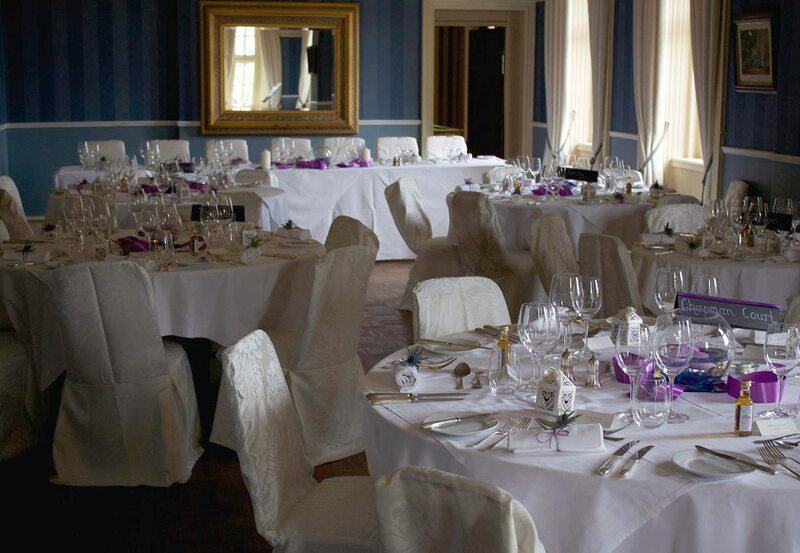 We would be happy to sit with you to discuss our wedding menus and prices, or preferably you may wish to have a consultation with our chef in order to tailor make a menu designed to suit your personal taste and/or budget. Our Head Chef Malcolm Kelly would be delighted to offer and/or discuss menu suggestions tailored to your individual requirements. 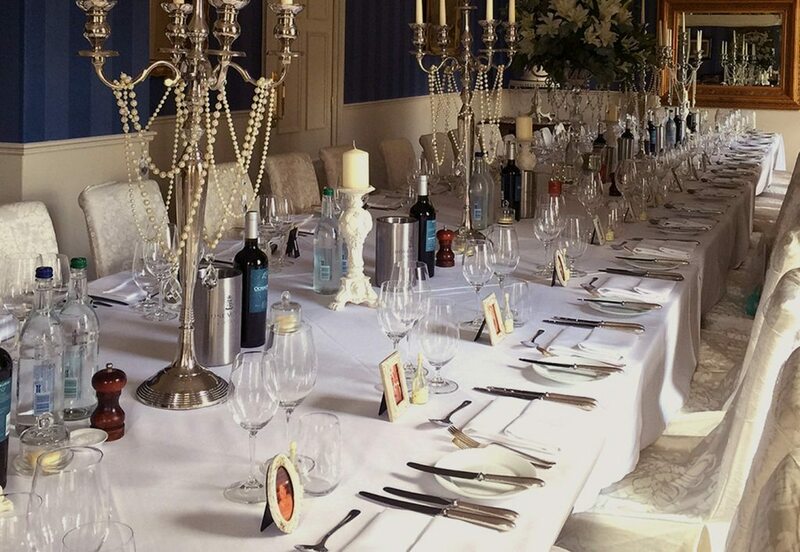 Once final arrangements have been made, we can offer you a tasting of your chosen wedding breakfast. Generally, we will require you to choose the same menu for the whole party, however we are able to attend to individual dietary requirements. 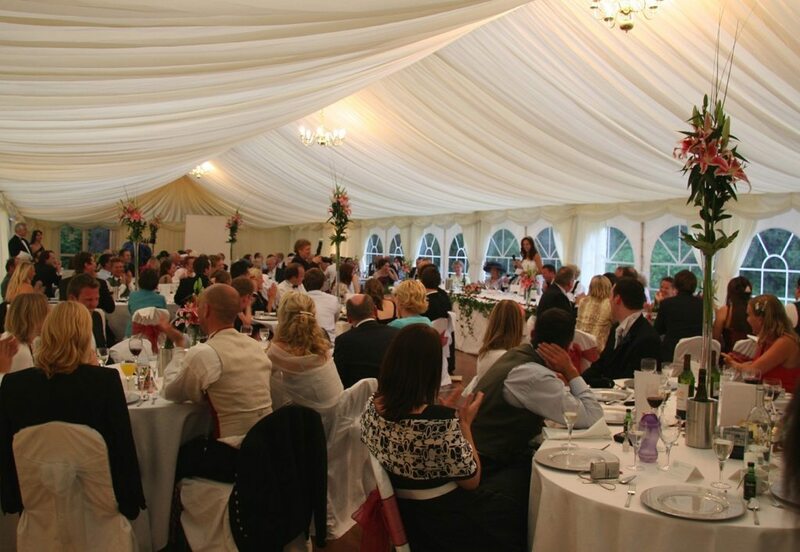 Dinner itself may be taken in the Restaurant or James Graham Library depending on numbers or you may wish to explore the option of a marquee on the lawn. Our team of professional staff will look after you throughout the event and ensure your special day is a memorable one. A wide range of sparkling and still wines are available from our extensive wine list. For specific accompaniments with meals, our Beverage manager will be happy to offer suggestions. All wines served must be from the hotel. 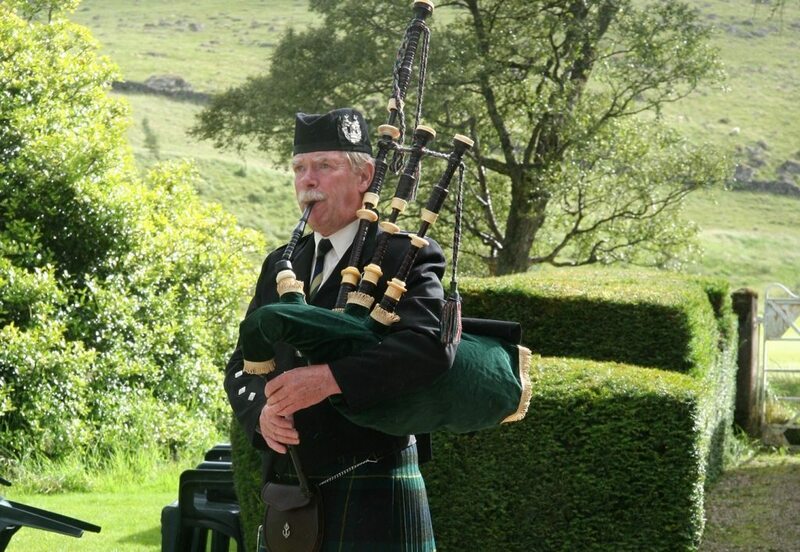 A piper can be arranged to provide atmosphere and tradition to your wedding. 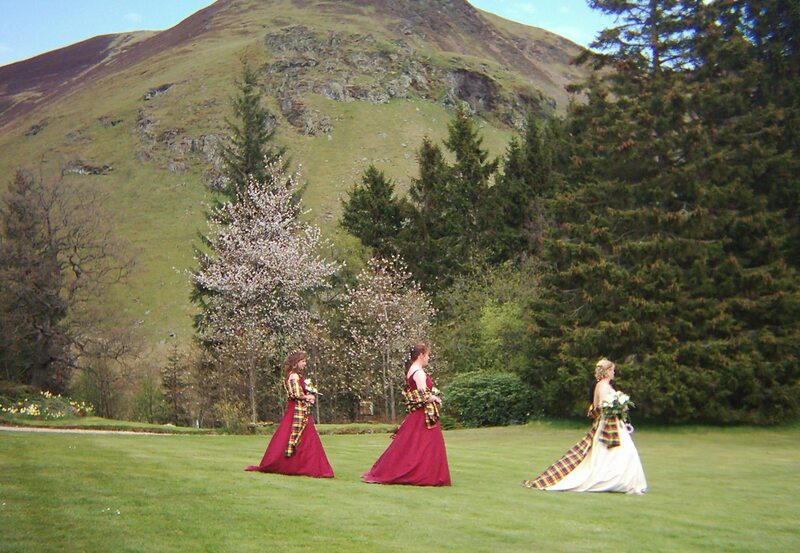 Dalmunzie’s bell rung and a Ceilidh band can be organised to celebrate your evening in style. Dance your night away to traditional music and/or modern. We can organise the music and a caller for your reels if required. Dalmunzie estate offers a wide array of activities to keep your guests satisfied. Golf, tennis, clay-pigeon shooting, mountain bikes and more are all available.  For full information see our leisure page. By arrangement, a variety of firework displays can be staged in the evening to provide a great finale to your unique day. As well, special lighting during the day can be delivered. We can arrange luxurious beauty treatments and massages on request, ensuring your big day is as special and stress-free as possible. For something extra special, you may wish to consider a flight from our front lawn to your next destination. Flying over stunning scenery is a great way to start your honeymoon. © Dalmunzie 2018. Website by Mywebcare. All Right Reserved.